This is a request for a Planned Development in an R 1/7000 Single-Family Residential District. Clayton Homes, representing Ronald Janet and David Hopkins, owners of the two subject parcels, has proposed to construct five detached single-family homes at 1950 & 1960 South 1700 East. 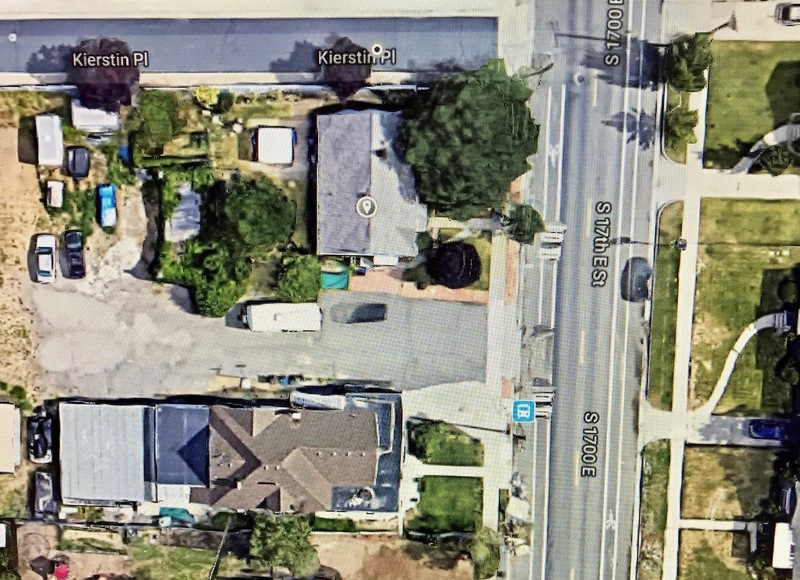 The project requires the demolition of two single-family homes with frontage on 1700 East as well as various accessory structures located to the rear of the homes. The applicant is requesting the approval of a Planned Development as there are aspects of the project that do not meet the standards of the Zoning Ordinance, including the creation of new lots without frontage on a public street, and reductions in one front yard setback and all interior side yard setbacks.